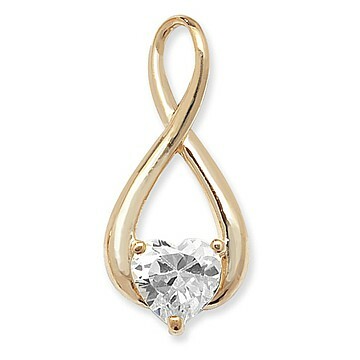 In this stunning pendant, created in 9 carat gold, a dramatic, beautifully-formed figure of eight, holds a sparkling heart-shaped cubic zirconium. A perfect testament to the theory that “less is more”, the Heart of Gold pendant adds a delightful finishing touch to work, weekend and evening outfits, so much so that once you wear it, you’ll never want to take it off! Size: 2cm.